Larry Doerr is an accomplished C-level executive now turned entrepreneur. He has 32 years of developed expertise in R&D, Operations and Advanced Manufacturing techniques. Larry is the former COO of Stratasys, Inc., a pioneer in the 3D printing industry, also holding positions of VP Operations, VP Operations and Engineering, SVP of Operations and Engineering, EVP North America. His work history includes Northrop Corporation, Honeywell, Inc., Emerson Electric, Detector Electronics, Nilfisk-Advance and Stratasys. Larry holds a Mechanical Engineering Degree from the University of Minnesota and MBA from St. Thomas Univerisity. 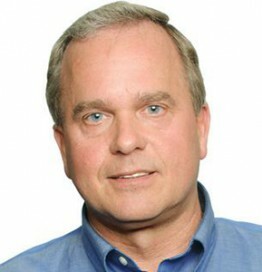 Currently, Larry Doerr is the CEO of Rev Materials LLC and COO of Interfacial Consultants LLC.